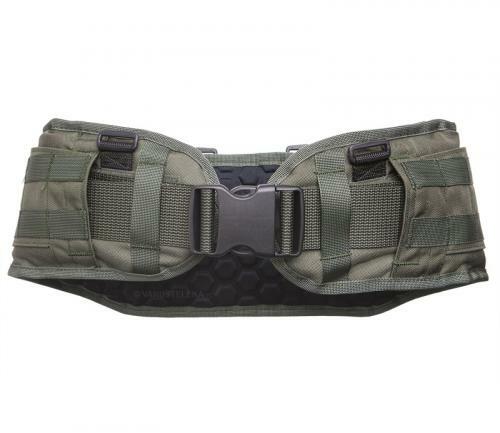 A ballistic battle belt, or blast belt if you will, is a great way to further enhance your armour coverage when using a plate carrier. High quality Finnish made kit! A light weight and low profile model. As a plate carrier only covers your most vital organs it also leaves the lower part of your stomach, sides and back exposed. 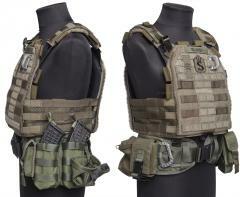 This Level IIIA battle belt covers those parts offering protection against small arms and shrapnel. Two way adjustable plastic side release buckle. PALS webbing on the sides and back for attaching pouches. Size S/M has five channels wide PALS on the sides, size L/XL has six. A standard webbing belt runs inside the padded battle belt, you can attach standard belt pouches and holsters through the slits on the sides. The inside is padded with a comfy gel-like cushioning material. Comes with removeable suspenders, these can be used to take some weight of the hips if the belt is very heavy loaded. NIJ IIIA soft ballistic panel inside. S/M is adjustable from 85 cm to 110 cm, L/XL from 95 cm to 120 cm. The battle belt sits a bit under your waist, take this into consideration when choosing size. CPE is a Finnish large scale manufacturer of personal protection gear, they supply stuff to the Finnish military and law enforcement institutions both domestic and foreign.